Welcome to our Uptown Aces casino review! 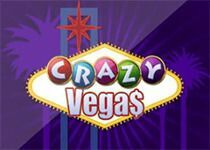 We take a look at awesome online casinos like these and see just what it has to offer. Uptown Aces casino has a fun nightlife theme combined with elements of Las Vegas with plenty of flashing neon signs – its a little gimmicky but its entertaining! This casino is actually part of the Deck Media group who are responsible for maintaining a number of online casinos and are licensed and regulated in Curacao. This casino shines brightly in our list of RTG casinos and absolutely deserves your attention! There are many reasons why we feel Uptown Aces casino has a lot to offer – firstly it has a great range of games including one of the best slots games, video poker, and table games. Secondly, it has a strong selection of banking methods to make deposits and withdrawals with ease. Thirdly, users can benefit from several different promotions and welcome offers. Finally, the VIP club and mobile platform of Uptown Aces online casino are also fantastic. Read on to find out more about this casino! So if you like this website, don’t hesitate to follow the link and visit Uptown Aces login webpage to start gambling. If you prefer to play on a desktop computer or laptop then you are in luck. Uptown Aces Casino has a dedicated downloadable version of its online casino. This download is available for both Mac and Windows PCs and the installation process is easy to follow. To use the downloadable software you must simply click on one of the download links on the Uptown Aces website and then wait for the file to download. Once it is complete, simply following the instructions. You can then use your Uptown Aces instant play casino account and start gambling! We found the downloadable software to be fun and refreshing – the layout was intuitive and the graphics were high quality. One other feature we thought was nice was the fact that you can either play for fun to test the games, or play for real money – there is a choice. Alternatively, if you enjoy playing on your mobile devices such as a smartphone or tablet then you can always use the Uptown Aces casino mobile app! We should point out that the mobile version is not an app as such – it is merely a responsive version of their website casino that displays correctly on smaller mobile devices. This mobile version is available on iOS devices, Android devices such as Samsung Galaxy S9 and Windows phones too – Kindle Tablets and Blackberry devices are NOT supported. 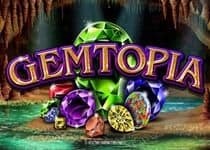 You have all the features there and can easily claim your Uptown Aces sign up bonus for 2019 too. This mobile version contains all the features of the full Uptown Aces Casino and you can play mobile slots for real money. We tried out the mobile version on our smartphones and the display was responsive and was easy to navigate through. The games also loaded quickly and we experienced no discernable lag. 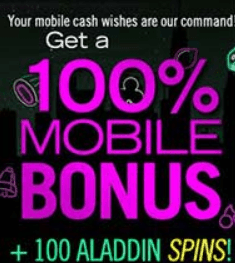 Finally, Uptown Aces mobile casino also provides some mobile-only promotions which we thought was a nice touch. 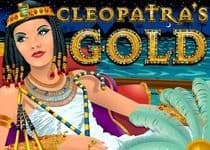 Slot Games – Uptown Aces has a brilliant selection of slot titles provided by RTG software developer (Real Time Gaming). You can choose from a variety of different colourful titles including the chance to play progressive slots. 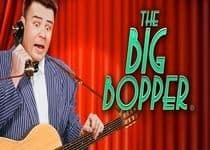 Popular RTG slot games titles include BigShot, Super 6, The Big Bopper and BasketBull. Table Games – If you prefer traditional table games then Uptown Aces casino has a great selection of original titles too. Examples of table games available include Caribbean Draw Poker, Caribbean Stud Poker, Blackjack, Pontoon and European Blackjack. Video Poker – Maybe you enjoy the buzz of playing professional poker instead? This online casino has a brilliant selection of poker titles including Aces & Eights Video Poker, Deuces Wild Video Poker and Joker Poker Video Poker to name a few. Specialty Games – Maybe you want to try something different and try your hand at a new and exciting game you haven’t played before? If so, the specialty section can deliver. Specialty games include Sic Bo, Keno, American Roulette, Roaring Twenties Bingo and Treasure Tree. 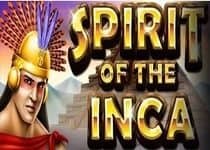 Finally, Uptown Aces casino does provide a handful of progressive slots games too – two of the most well know actually in the form of Spirit of the Inca and Cleopatra’s Gold. As you can see, this online casino has a varied selection of games that you can enjoy. When using Uptown Aces casino, you can benefit from a number of different promotions, bonus offers, and the fantastic VIP club. First and foremost we looked at the different promotions, coupons and bonus codes available. 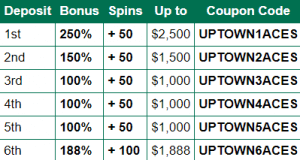 There is a whopping $8,800 Uptown Aces welcome bonus up for grabs which are segmented over your first 6 deposits. 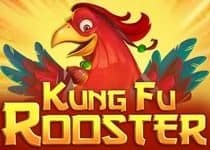 On registering a new account, use the Uptown Aces new player bonus code UPTOWN1ACES for a 250% matched bonus up to $2,500 and also 50 free spins. 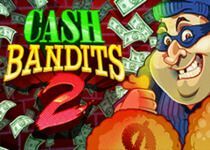 After that, you can grab 5 more matched bonuses and more free spins. To qualify for this offer you must make a minimum deposit of $25.00, and there is a wagering requirement of 30x the bonus amount before you can make a withdrawal. Actually, Uptown Aces bonus codes are one of the best compared with other casinos. To qualify for the different levels of VIP Club you must have an account open for a minimum number of days and made deposits equal to a certain value. For example, the Level 1 VIP account requires a 30-day account and deposits equal to $2,500 or more. When using an online casino such as Uptown Ace Casino, you want to be able to deposit money with ease so that you can play quickly and have a no hassle experience. With this online casino, you are in luck as Uptown Aces casino deposit methods are varied and the whole process is straightforward. Furthermore, you can rest assured that your personal data and card information will remain safe as they use the latest 128-bit SSL encryption technology for all transactions. As you can see, there is a fantastic choice of deposit methods available. It should be noted that if you want to use a credit card, you have to fill out a credit card application form first. There is also a minimum deposit limit on all payment methods of $25.00. Now we can turn to the withdrawals which are equally as important. When using Neteller online casinos such as Uptown Aces, you want to know that you can quickly and efficiently withdraw any winnings you make without any fuss. Luckily, the Uptown Aces withdraw process is easy and they have a decent range of payment options for withdrawals too. All withdrawals are aimed to be processed within 72 hours but there is no guarantee and this can also depend on the payment method chosen. As you can see, the withdrawal methods are not as numerous as the deposit method available. We found it a little strange that Visa and MasterCard are not accepted as withdrawal methods, but something such as Bitcoin is. It should also be noted that a US wire-transferal can take up to 15 working days. So what did we think to Uptown Aces casino? Generally, we thought this casino had a great deal to offer and is certainly a top online casino. First, we will discuss the negatives – to be honest, there weren’t many! The only downside we could really see was the smaller selection of games compared to other providers – there were plenty of slots to choose from, but the other categories of games were a little Spartan. That being said, there are still plenty of games to play through Uptown Aces online casino. Now onto the positives and we are happy to say that there are many! Uptown Aces is undoubtedly a quality platform. The actual website is well designed and the welcome offer has one of the highest potential bonuses we have seen. Furthermore, the VIP club has great potential too. We hope you have enjoyed our Uptown Aces review – why not sign up today and see what you make of this online casino?